Log into My Domain Names to manage all your domain names registered with AJIBOYE Monkey Business Agency. Here you will find all your domain names registered with us. 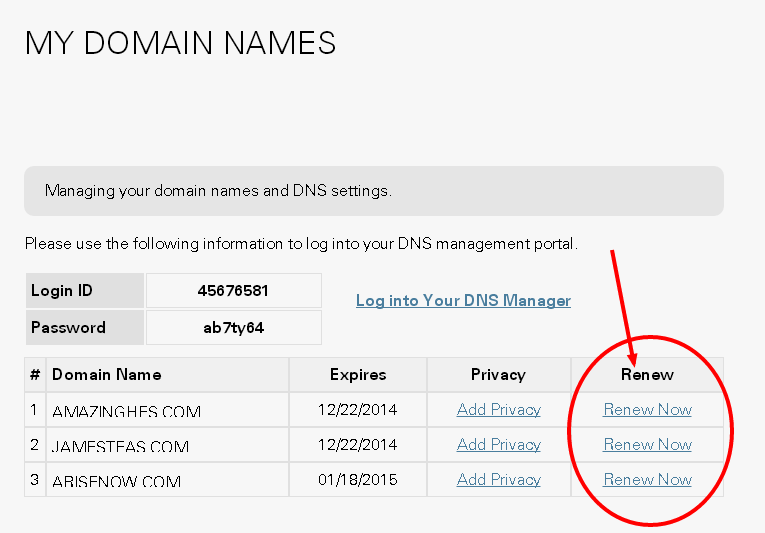 You can renew your domain names at anytime. Just select the Renew Now. 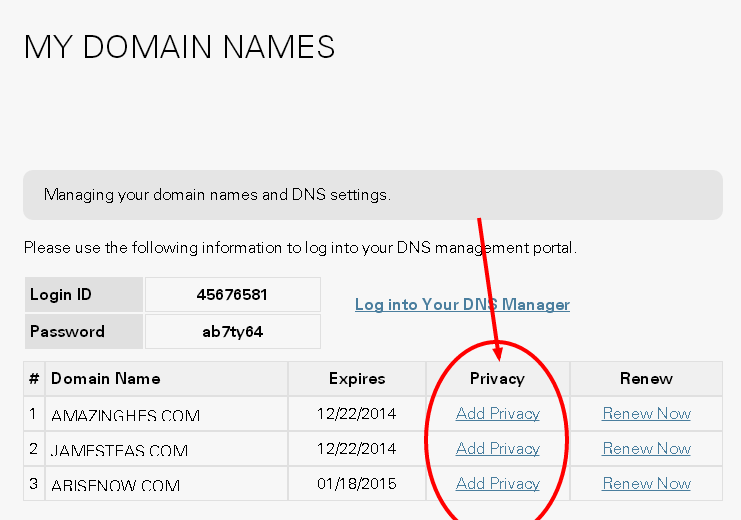 You can purchase Privacy for your domain names. Just select Add Privacy. 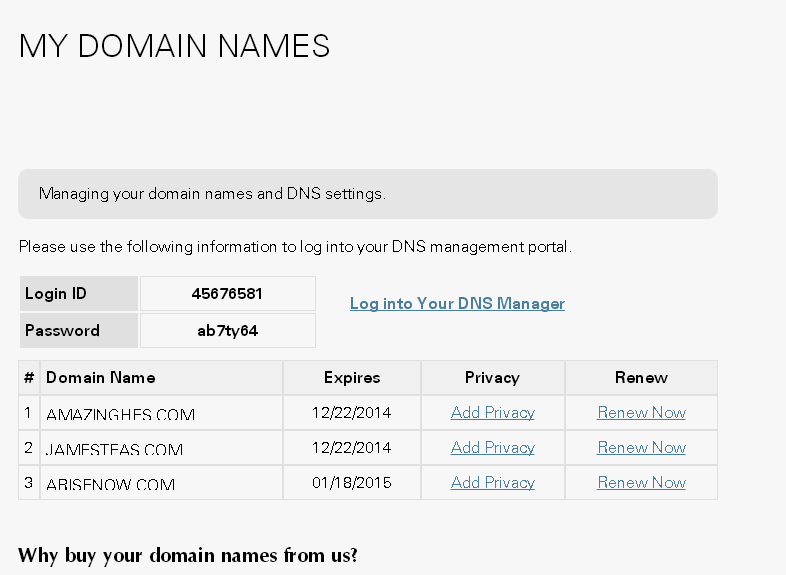 You can access and manage complete DNS services for your domain names. 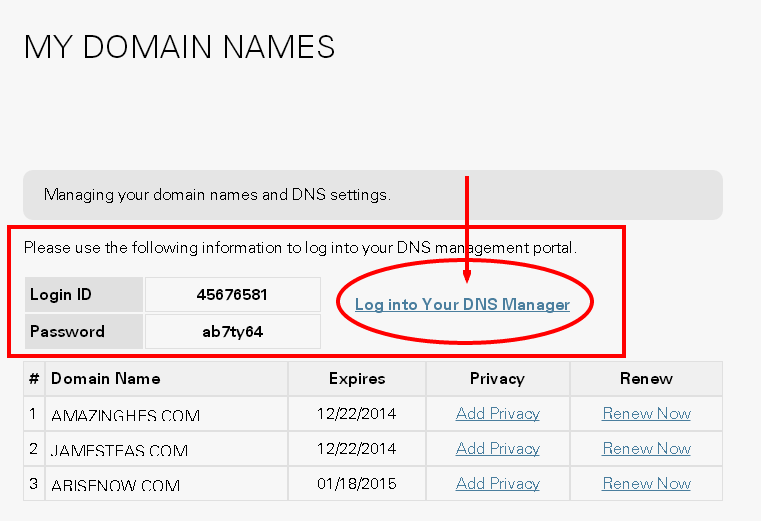 Just log into the DNS Manager using your Login ID and Password printed on this page.